Happy Bloggers Challenge Friday! Thanks to those who played along with the Holiday Ornaments Challenge, the challenge this week is Holiday Gift Packaging. 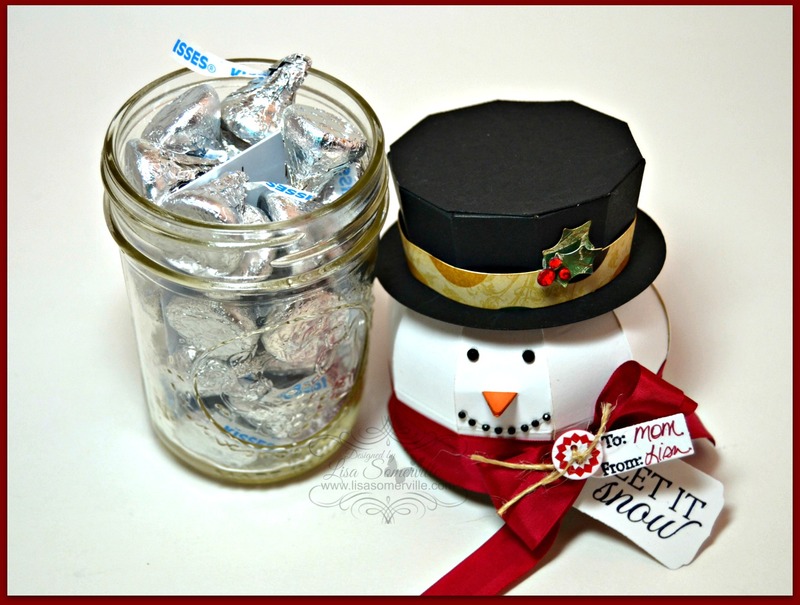 I used the Mason Jar Snowman File from SVG Cuts Santa's Sweets SVG Kit to create my holiday packaging. 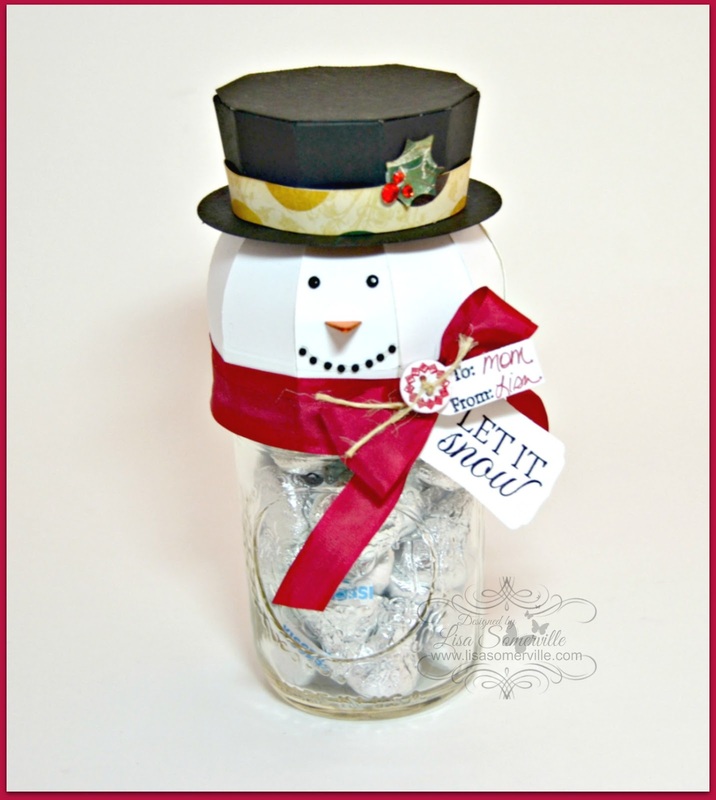 Using the Silhouette Cameo, I cut the snowman and hat pieces from White and Black card stock and the hat trim and leaves from scraps of Bo Bunny pattern paper. The pint sized mason jar is the perfect size for holding a gift card! Speaking of Gift Cards! If you are looking for a gift card for the stamper on your list, Our Daily Bread Designs, Artistic Outpost and North Coast Creations are all running Gift Certificate Specials through Saturday, December 20, 2014. Simply click their names to be taken to their Blogs for more details. I used Zva Creative Crystal Gems for the holly berries, eyes and mouth, then added stamped tags using stamps from Our Daily Bread Designs Mini Tag Sentiments and Let It Snow stamp sets, die cutting the White card stock using the ODBD Custom Mini Tags Dies. If you'd like to play along with this weeks Bloggers Challenge, please link back to this post on your blog and mention you created your card for the Bloggers Challenge Holiday Gift Packaging Challenge. Please add your link using the Link Tool below, your link should be a direct link to your Bloggers Challenge Post, use your name as the Title. Please do not link to cards that were created prior to the challenge date. Entries not linking properly, or backlinked will be removed. If you have the captcha enabled on your blog, please consider turning it off, as it makes it so much easier to leave comments. Lisa that is super adorable! I love how he looks! Your snowman is adorable, wish I had the patience. I've seen your work all over the internet, but in all of these years, I've never hung out at your blog until now, like for hours. You are incredibly gifted and talented and all of your projects of cards and altered items and everything are so cool Lisa. Amazing. Wow. Your ideas are one of a kind!